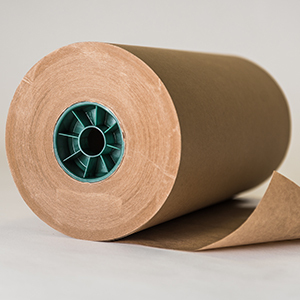 In addition to our full line of products, Delta Paper also offers its capabilities to convert paper for the trade. 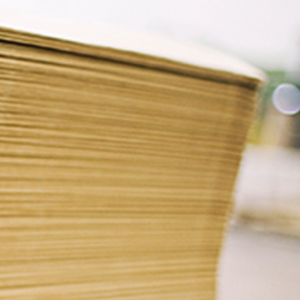 We do a quality job of slitting, sheeting, trimming, and printing many grades of paper in our plant. Our prices are reasonable, waste factors low, and our quality and service are the industry standards. Here at Delta Paper, our fully automated, world-class paper slitter re-winders can run a 5” outside diameter up to an 18” outside diameter. 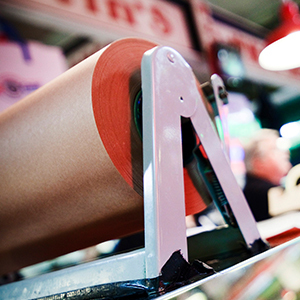 The majority of our rolls are counter rolls between 8” and 9” in diameter. 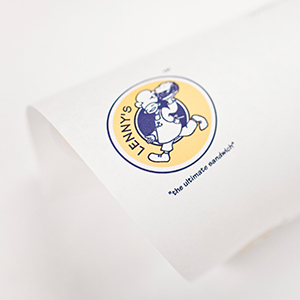 We have the ability to produce narrow width slitting from 3” width to as wide as 87” widths. 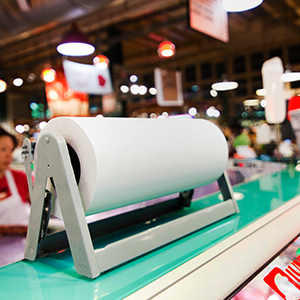 Our machines can run kraft paper, multiple grades of food service papers, and coated papers. 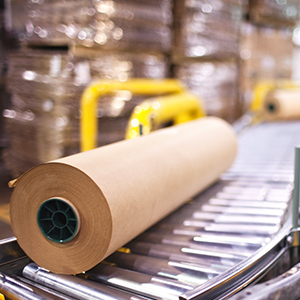 Delta Paper can convert heavy weight liner board and specialty industrial papers. 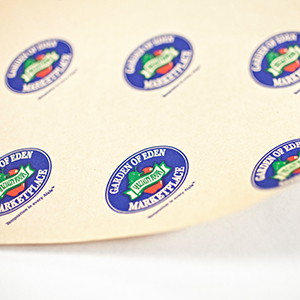 Delta Paper’s slitters are equipped with edge guide and fife guide systems to ensure a perfect edge. We pride ourselves in precise conversion of top quality material. Delta Paper also operates a large two drum slitter rewinder that is perfect for converting work on large diameters rolls. This slitter can handle 58” O.D.’s and the unwind and 58” O.D.’s on the rewind. 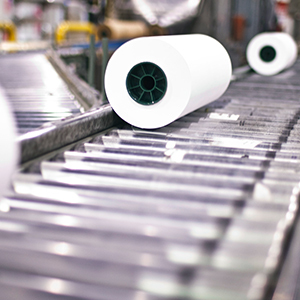 Delta Paper has several sheeting production lines with multiple roll back stands. This gives us the ability to sheet large quantities of sheets. 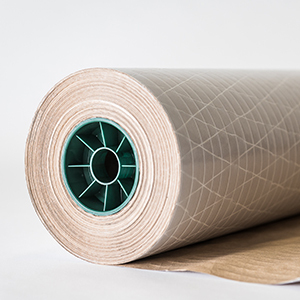 We can package finished sheets in carton, paper wrappers, or plastic. Our guillotine cutter gives us the capabilities to cut sheets to an industry best tolerance of +/- ⅛”. The guillotine also allows us to cut sheets as small as 4” x 4”. 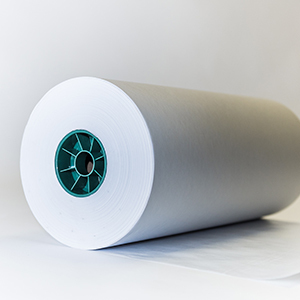 The largest sheet we can produce is 54” x 75”. 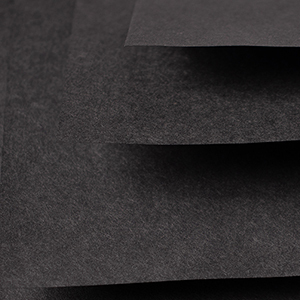 Delta Paper regularly sheets standard sizes 15” x 20”, 18” x 24”, and 24” x 36”. 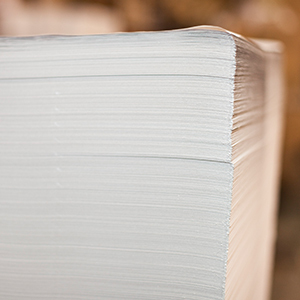 Delta Paper is rapidly growing in the custom printed paper industry. 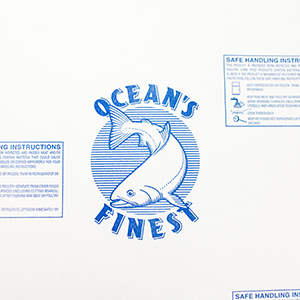 Our specialty is in flexographic printing. 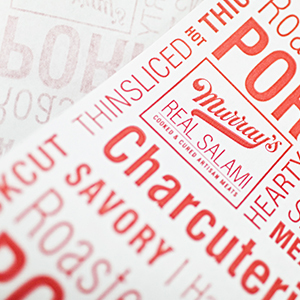 Delta Paper has the ability to print 1, 2 and 3 color jobs. 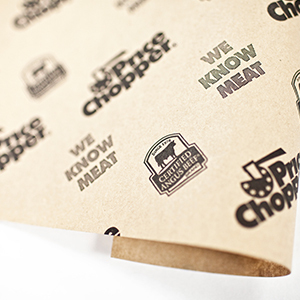 We manufacture custom prints for Food Service Papers (with food safe inks) and Packaging Grades. 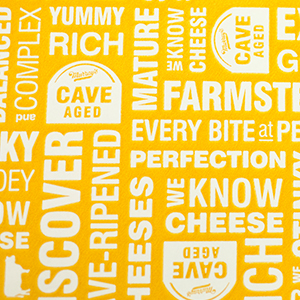 Delta Paper has the in-house ability to handle custom prints from design stage to plate production to print.